Civil Marriage Celebrant. Justice Of The Peace. If you are looking for a Celebrant with experience, compassion and a good sense of humour, then you have found what you are looking for. 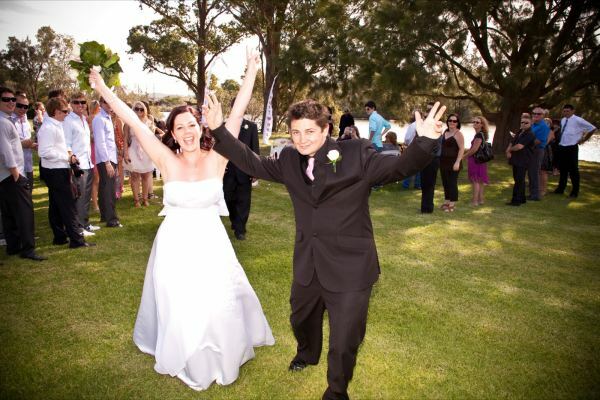 As a professionally trained celebrant, I understand just what you are looking for on your very special day. Whether that is a Marriage Ceremony, a Commitment Ceremony, a Naming Ceremony or a Renewal of Vows, I can personalise your ceremony to suit your every wish. I pride myself on making sure that your day is full of love and laughter, something that you will remember forever. 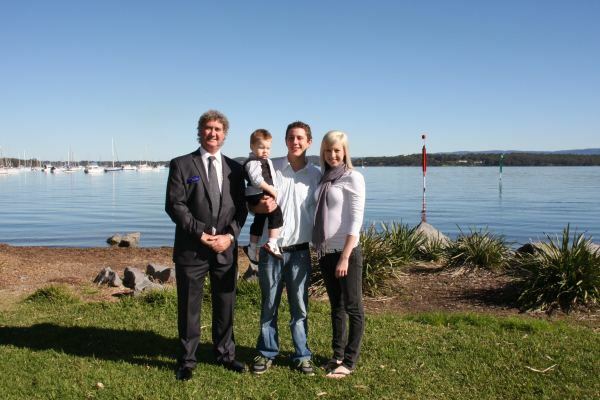 I am based in Lake Macquarie, New South Wales and perform ceremonies in that area along with the Hunter Valley, Newcastle and the Central Coast, although I am prepared to travel anywhere to perform your ceremony. I receive enormous pleasure from this profession and if you would like to speak with me, discuss your ceremony or ask about the legalities involved, please give me a call. 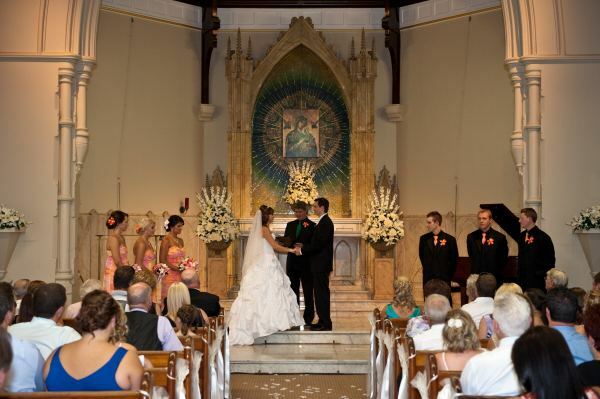 My ceremonies range from simple elopements to the most lavish of ceremonies. I provide sample weddings with numerous options, readings along with professional sound equipment, to make sure that not a word is missed during your ceremony. Your ceremony is only limited by your own imagination and I am here to make your dream come true. A Naming Ceremony enables you to consider your dreams for your child’s future and openly declare your love and support for them as an individual human being. The Naming Ceremony is an occasion for the expression of love and joy, hope and acceptance. I will work closely with you to make absolutely sure your child’s ceremony is unique and special reflecting your personal needs. I discuss with you and offer ideas and suggestions to help you find words and / or music of your own choosing to ensure your naming ceremony portrays your identity, memories and aspirations. We can deliver ceremonies for new-borns or older children, in just about any location to make your day special. You receive a copy of the ceremony and certificates for Godparents/Guardians. I can do grandparents certificate if required and of course a baby naming certificate. 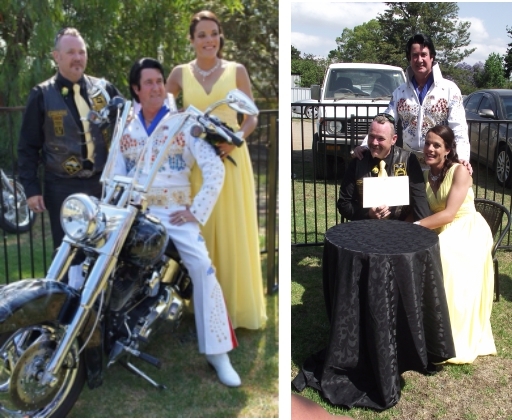 Wayne Cooper is one of a very select few in Australia that are Elvis Presley Marriage Celebrants. 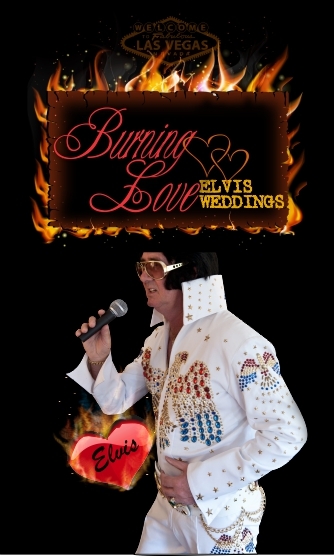 Have your special day themed to Elvis or keep it a secret. 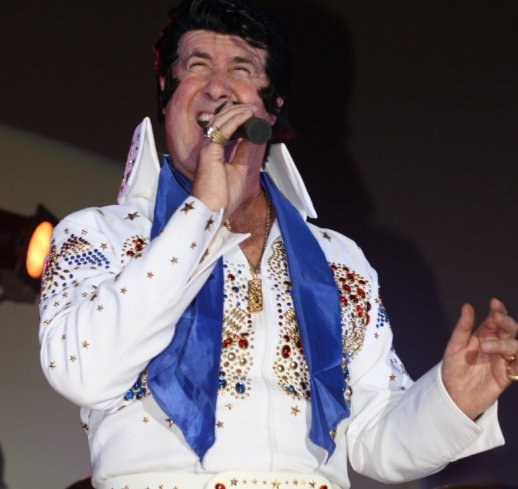 Wayne will meet with you and write your specialised ceremony in an Elvis theme. Be walked down the isle with the ‘King’; be sung to by the ‘King’, and dance at the Alter. We can do anything that you want. It is only limited by your imagination. So get your ‘Hunka, Hunka Burnin’ Love and get off ‘Lonely Street, put on your ‘Blue Suede Shoes’ and give me a call. At your first interview you will be required to produce your original Birth Certificates. If you were born in Australia then you must produce your birth certificate. Persons born outside Australia are also required to produce birth certificates. However, in the absence of that document they can produce their overseas passport. If you have been previously married, a copy of the Decree Absolute or Death Certificate, whichever is applicable, must be produced. Some overseas countries do not have a divorce system, they have an annulment process, there are a few countries that have this process. If you or your partner is from a country that operates under this process then you must produce an order of annulment in regards to any dissolved marriage in such countries. Prior to your wedding both partners will be required to sign a declaration, under the Marriage Act 1961, stating that you believe there is no legal impediment to the marriage between yourself and your partner. This is a legal document and under Section 11 of the Statutory Declaration Act 1959 it is an offence to make false statement and is punishable by imprisonment for a term of four years. Under the marriage Act 1961 two persons under the age of the eighteen cannot marry/ a person of age sixteen or seventeen can marry a person eighteen or over but they must obtain parental consent and approval of a court of law. Persons of sixteen and under cannot marry under any circumstances. Marriage is a wonderful time filled with excitement and anticipation. It is your very special day. Your ceremony will be remembered by both of you for the rest of your life, and therefore it is very important that you have it tailored to fit your every dream and desire. 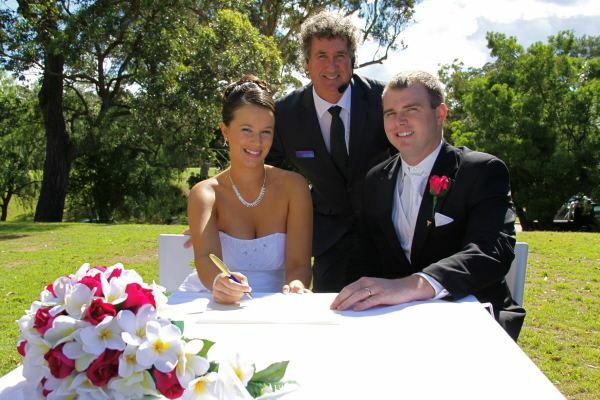 Working with your Marriage Celebrant is very important so that you achieve the outcome that you have dreamed about. Your Celebrant will help you compose a ceremony that you both want and will stay etched in the minds of all that attend. Your ceremony can be as formal or informal as you want, but it will always be conducted with sincerity. Under the Marriage Act 1961, a Civil Marriage Celebrant has certain obligations which will be explained to you at your first meeting. There are no other restrictions and your ceremony can be composed with the only limitation being your imagination. At your first meeting you will be supplied with sample ceremonies that I have written for you to go through and use as a guide to creating your ceremony. I will also supply you with numerous options to further assist you in this, by way of Readings, Verses, Vow Options and many more. All of these can be mixed and matched to suit your needs. If you wish to fully compose your ceremony then that is also acceptable, providing it complies with the obligations under the Marriage Act 1961. If you wish to discuss any particular form of ritual, symbolic gesture or specialised content, please feel free to speak with me about that as well. This may involve family or friends in such ways as them doing a reading for you or even forming a guard for you to walk through. The options are endless. Most couples make arrangements for music to be played in some form or another. This may be by CD, iPod, USB or by live musicians. This is all wonderful and goes a long way to making your day very special. I can provide you with the provision for the music to be played on my sound system at no further cost. There are times when the use of an interpreter is necessary. This is a simple process although there are requirements for certain forms to be completed before and after the ceremony. At the completion of the ceremony you will be required to sign the Marriage Register and Marriage Certificates, you will also be requested to provide two witnesses over the age of eighteen years and along with the Marriage Celebrant, all will sign your Marriage Certificate. Once this is completed you will be presented with your Marriage Certificate and I will also provide you with a specialised copy of your ceremony. Wayne, Thank you so much for conducting our ceremony so professionally. It felt like it was being performed by a friend. You made both Luke and I feel so at ease and the flexibility you allowed in the ceremony order, only added to my unique day. Dad, Thank you so much for being such a vital part of our day. It was so special to Alicia and I that you could marry us and you did it in your usual professional and effortless way. From explaining the formalities to giving options with the ceremony, you allowed this part of the day to run smoothly. You prepared Alicia and I for the day and with your guidance it allowed us to have a relaxed and fun ceremony. We can only imagine the emotions you must have felt marrying Alicia and I on the day, so we must commend you on the way you conducted yourself. I personally was so proud that you could marry us and Alicia and I were over the moon on how the ceremony turned out. Thank you for sharing that moment with us and it is something that we will cherish forever. Wayne, We knew that we had made the right choice from the time we had our first meeting with you. The way you treated us and the respect that you showed towards us was wonderful. At this time in our lives for us to make the decision to get married was one based on love. Your part in this made us feel so comfortable and at ease. The ceremony that you wrote was so appropriate and heartfelt. The manner in which you spoke during the ceremony, with a calm and relaxed manner made both of us enjoy the time and eased our nerves. We love the bound gift ceremony that you gave us and to gift us the pen that we signed our Marriage Certificate with, will be treasured. Thank you so much for making our day one that we will remember forever. Wayne, The naming ceremony that you wrote for us for our son Izack was beautiful. Not only did it fill us with pride and make us cry during the ceremony, it confirmed that we had made the right decision by choosing you as our celebrant. The souvenir ceremony that you gave us was presented with style and we will cherish it forever. Thank you for being a part of our lives on that day.